For years, eSupplyStore.com has been providing manufacturers with superior quality shipping supplies and materials at prices that are extremely friendly to a company's bottom line. From your basic shipping staples like bubble wrap, packaging peanuts, labels and tags to anti-static mailers and janitor supplies, we have everything you need to keep your products moving safely from your facility to your customer's front door. 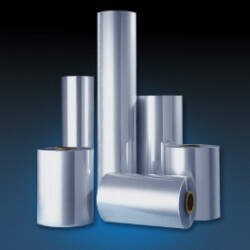 Our selection of shrink film is available in 60 and 75 gauge, plus a 100 gauge for the stoutest pallets. Each variety of shrink wrap comes in widths ranging from 6" to 30" , so you always have the perfect size for every shipment and reduce waste in the process. Select the stretch film thickness below to get started, or if you prefer to shop by phone, we always welcome your call at 866-437-8775.